As tight as my brothers and I were, we had our share of fights. Trash talking, bruises, hurt feelings, wrestling — even an occasional bloody nose inflicted at the hand of a “loving” brother — were not uncommon. We even had some pretty big battles, with towering egos and fiery tempers on full display. But even in our fiercest moments, we knew fighting with brothers was completely different than fighting with an enemy. 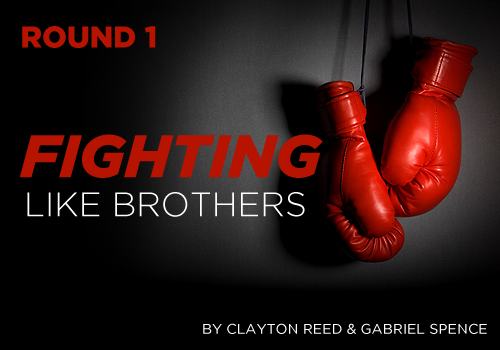 Brother fights can be very intense, but you generally just want a quick concession. As best I can recall, my brothers and I never resorted to guns, knives, grenades, mortars or RPGs to fight each other. Why? Well, other than the obvious, we were brothers. When brothers fight, they are not out to mutilate, maim, obliterate, or annihilate. Brotherly fights don’t happen at a distance, but in person. Unlike a battle royal between warring super-powers, brothers are no way looking to win at all costs or hurt the other guy beyond repair. If brothers do fight in a destructive way, they have abandoned their relationship as brothers become more like Cain and Abel. Kill the brother. Bury him in the ground. Hope nobody is looking. That’s not how family works. In much the same way, it sometimes seems Christian leaders forget how the Family of God is supposed to work. They get into arguments with brothers but fight like they are enemies. 14* And if any man obey not our word by this epistle, note that man, and have no company with him, that he may be ashamed. 15* Yet count him not as an enemy, but admonish him as a brother. Even when the disagreement between brothers is so great that one brother has had to separate himself from the other, Paul is very clear that they are still brothers. In God’s family, we fight like brothers. It saddens me — and I am sure it grieves the Lord — that today we have mercurial siblings who fight brothers as if they were enemies. So-called brothers launch atomic bombs at each other from a distance and think they are behaving scripturally — and are good brothers for doing it. It’s not even over core issues either. All-out attacks are launched over the silliest stuff, like whether to wear a tie when you preach! When you attack like an enemy, even if you claim to do it for the brother’s good, you are not behaving like a brother. The only person who deserves that kind of malice in the spiritual realm is Satan. Brothers in Christ are being gunned down by the devil — the real enemy — with weapons like immorality, burnout, and discouragement, while we launch D-Day assaults over song selection and architecture. God forgive us all! As a movement, I hope we will get better at fighting. Our arguments should not leave brothers gravely wounded on a battlefield. I hope our sibling quarrels will be fewer and farther between. Brothers may fight — brothers often do — but we must never attack each other from a distance with the intent to destroy. At the end of the day, we must still be brothers. And we must never forget our Father is watching.